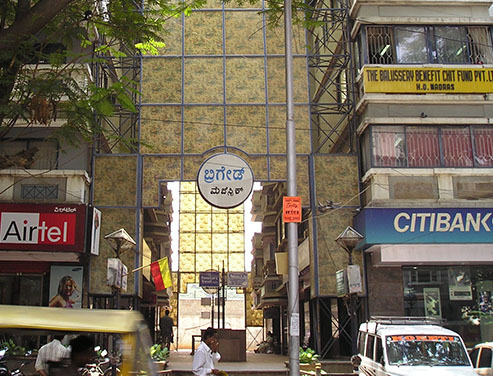 Globalisation has transformed the retail industry all over the world and India is no exception. The presence of a growing number of national and international brands is reflected in consumer and retailer expectations. Retail environments are required to meet demanding standards in user-experience… and user-delight. Our experience in designing retail-scapes began long before the retail revolution was underway. And we have leaped into the new world of retail facilities with new projects in our upcoming enclaves. One of them—Orion Mall, in the Brigade Gateway enclave—will be Bangalore's largest mall, covering 92,902 square metres of built-up area. Scroll down to view brief descriptions of two projects we have completed. And for information on two Brigade retail projects nearing completion. This well-planned business complex overlooks the Central College cricket grounds. Its greenery-filled central courtyard creates a warm, pleasant ambience. Brigade Majestic is located in Gandhinagar and is in close proximity to major business centres-Avenue Road, Chickpet and K.G. Road. 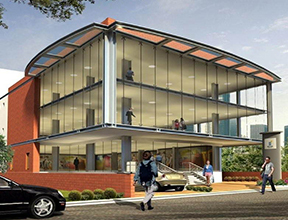 Brigade Plaza, located at Ananda Rao Circle, is one of the area's finest business complexes. 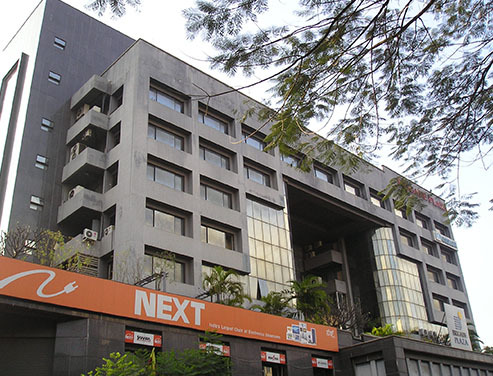 Spacious, luxurious and centrally located, Brigade Plaza offers excellent specifications and facilities. Strategically placed at the head of Ananda Rao Circle, the complex is in the immediate vicinity of the Race Course and Golf Course. The city's leading 5-star hotels are just a 4-7 minute drive away. Brigade Plaza has proved to be an ideal location for consultants, corporate / zonal / branch offices, software facilities, call centres, supermarkets, showrooms and restaurants, as it facilitates efficient servicing of the region.